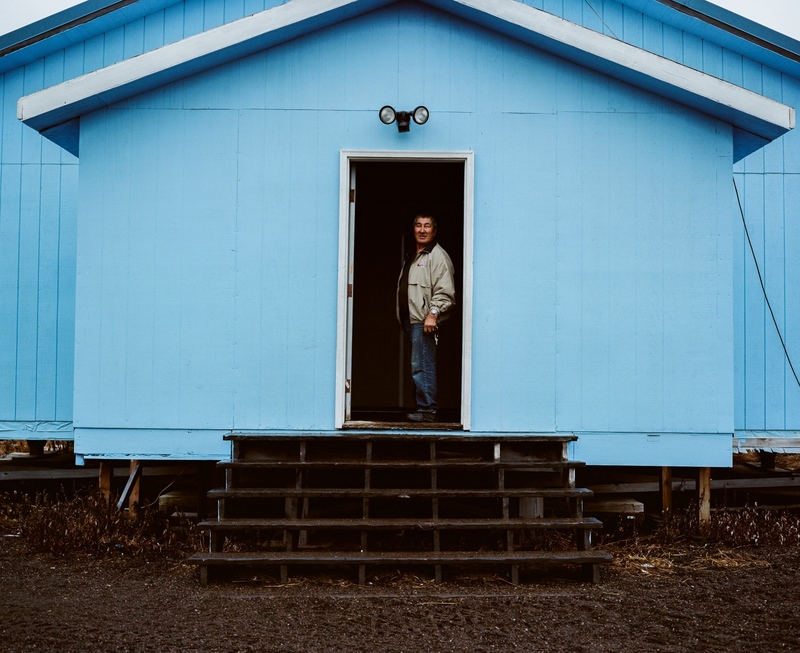 Kivalina is one of several Alaska Native villages experiencing coastal erosion due to climate change that is changing the shape of the village indefinitely. Scientists have estimated that the roughly 380-person Arctic village that is only accessible by boat or plane has been said to have a decade or less before it will be uninhabitable, as the permafrost is melting and storms and the sea eat away at its coastline. Kivalina is estimated to be completely underwater by 2025. 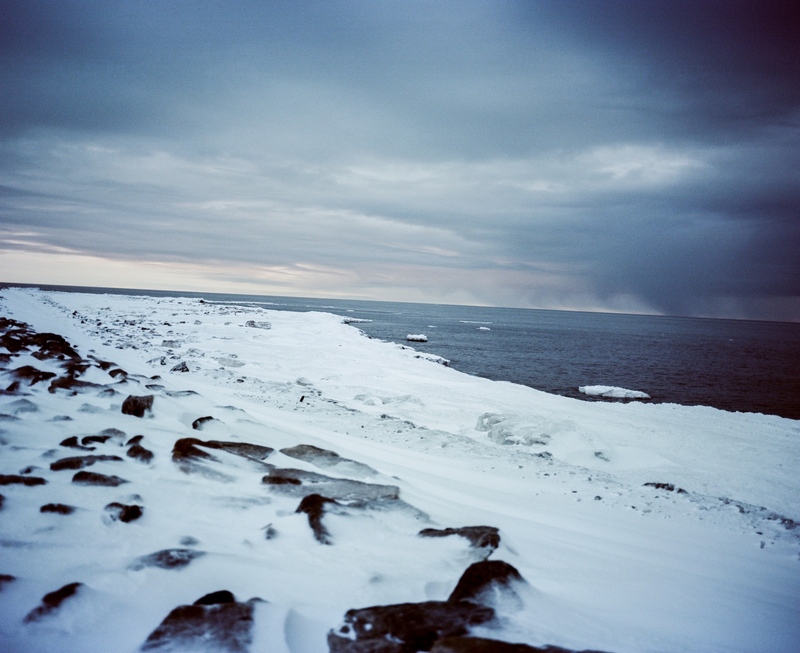 Already, the village has experienced serious changes as a result of the Arctic’s rapid warming. Food supplies are changing. 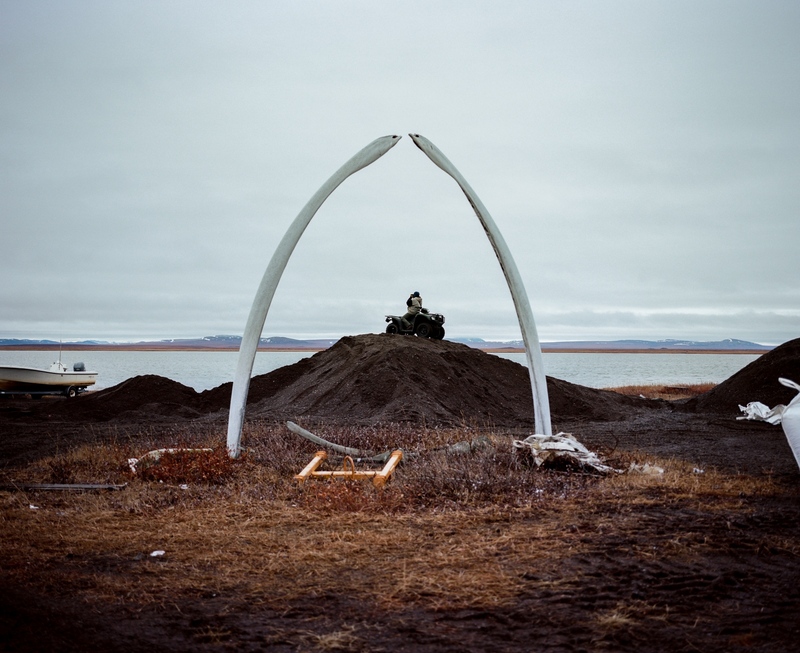 It is now difficult to hunt for whale due to changes in the ice, and whale has historiclaly been a staple in subsistence-based Inupiaq villages like Kivalina. The ice is freezing later in the year and breaking up earlier. A new location has been selected for the new school about 8 miles away, and so this project, which will continue during and after the relocation, seeks to document this place both to bring awareness to the issues of Alaska's indigenous coastal people as well as to document a place that is changing rapidly. **most of the images from this body of work are not displayed here. Contact Ash directly at ash@ashadamsphotography.com to see more. 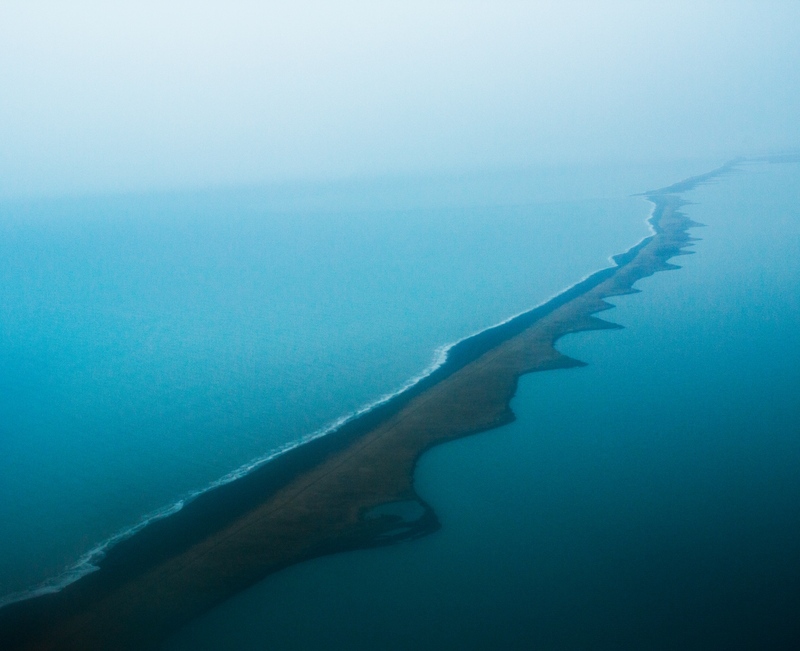 The coastline of the spit, flying into Kivalina, Alaska. 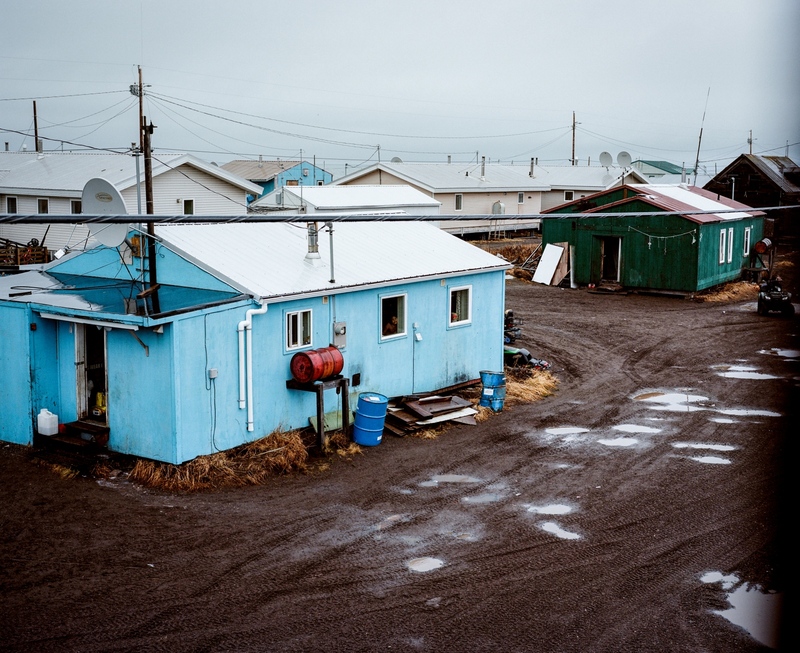 Kivalina is a 380-person Alaska Native village located about 80 miles north of the Arctic Circle that is currently facing relocation due to coastal erosion caused by climate change. Kivalina has been experiencing daily symptoms of climate change for years--the village made the decision to relocate in 1992. Now, with likely less than a decade left and a new location 8 miles away selected, the village will begin transitioning into the expensive move to get to safer ground. 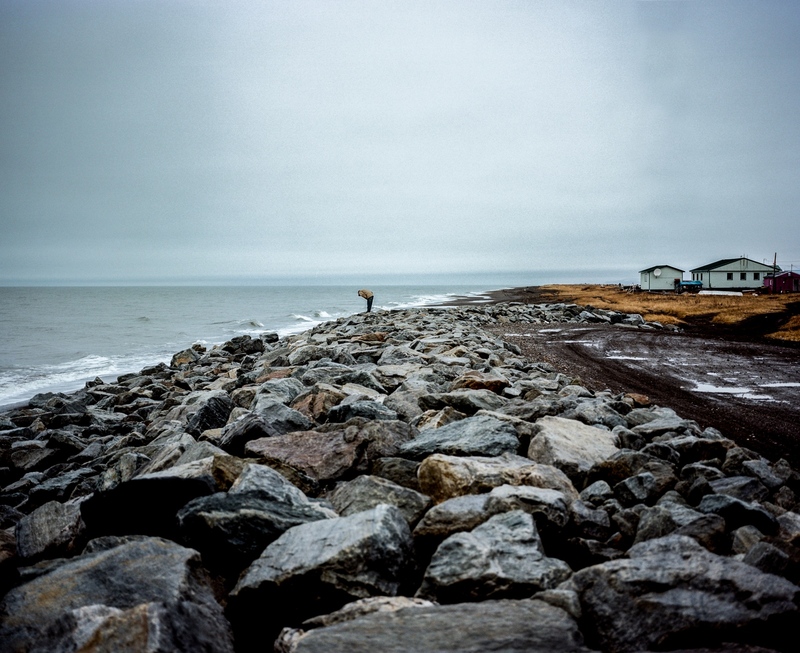 An elder inspects the sea wall in Kivalina, Alaska. Two days earlier, a fall storm raged against the coastline, taking out 10 feet along the villages small airstrip that is unprotected by sea wall. Volunteers placed sandbags along the coast to help reinforce the land. 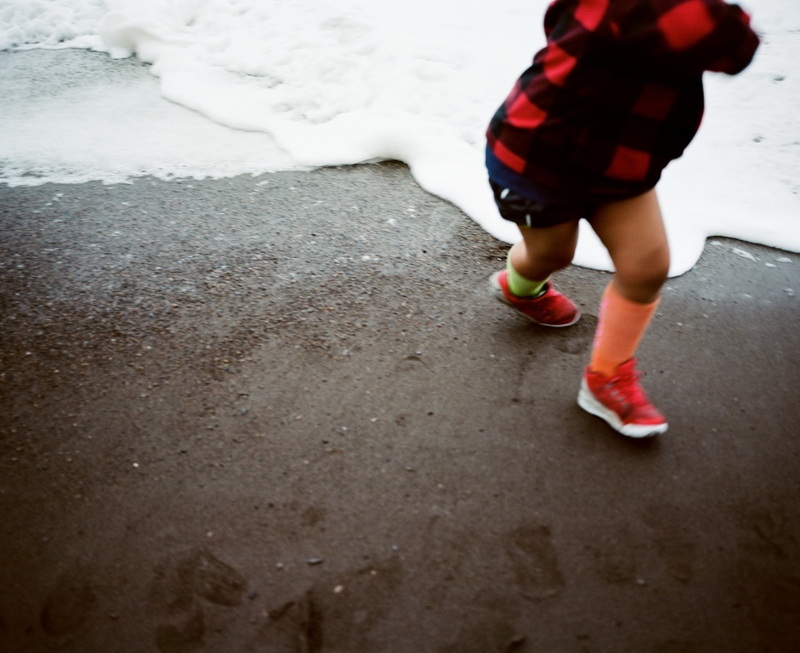 Children play on the beach in Kivalina, Alaska. Lucy Adams, 82, moved to Kivalina with her family in 1943 from Point Lay. Her family used to be one of the prominent whaling families in the village. 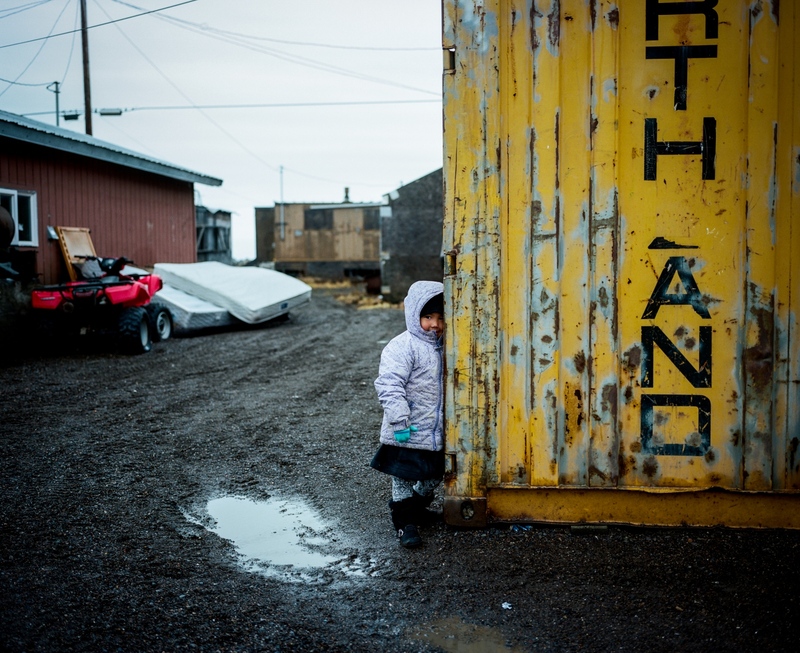 "People in Kivalina can't go out whaling like they used to," she says. "It's too dangerous." 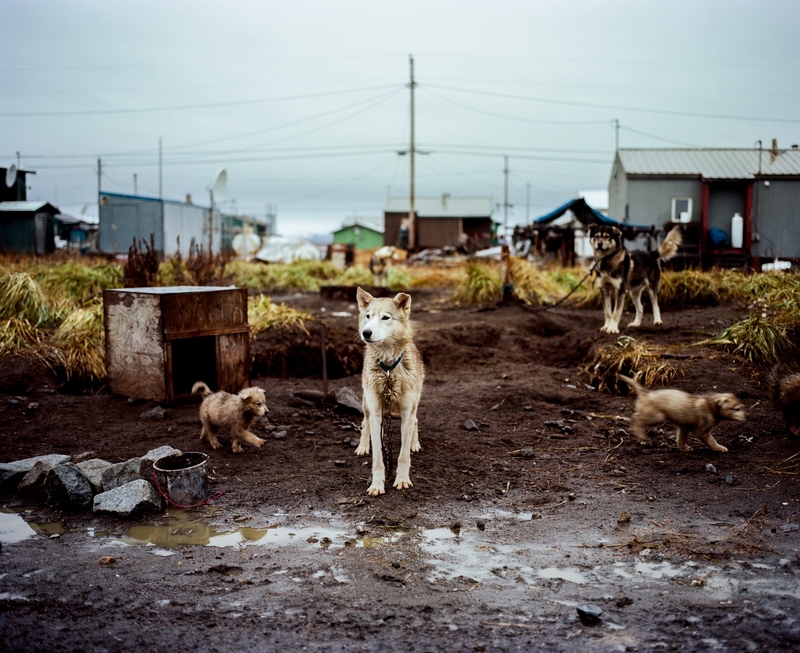 Lucy Adams' dog kennel in Kivalina, Alaska. Enoch Adams uses binoculars to spot "caribou, or anything that moves" on the lagoon side of Kivalina, Alaska. 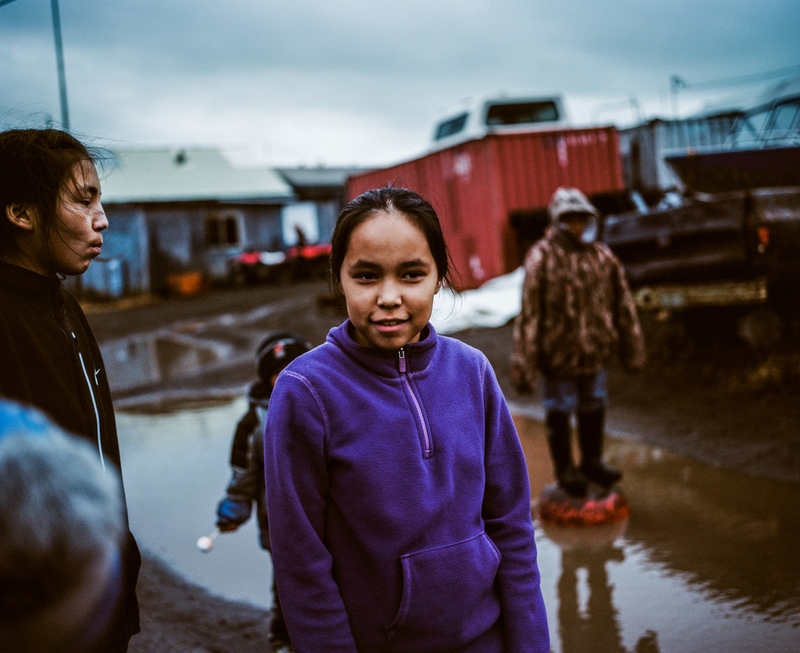 Adolescents and children gather in the street on a fall Sunday evening in Kivalina, Alaska. 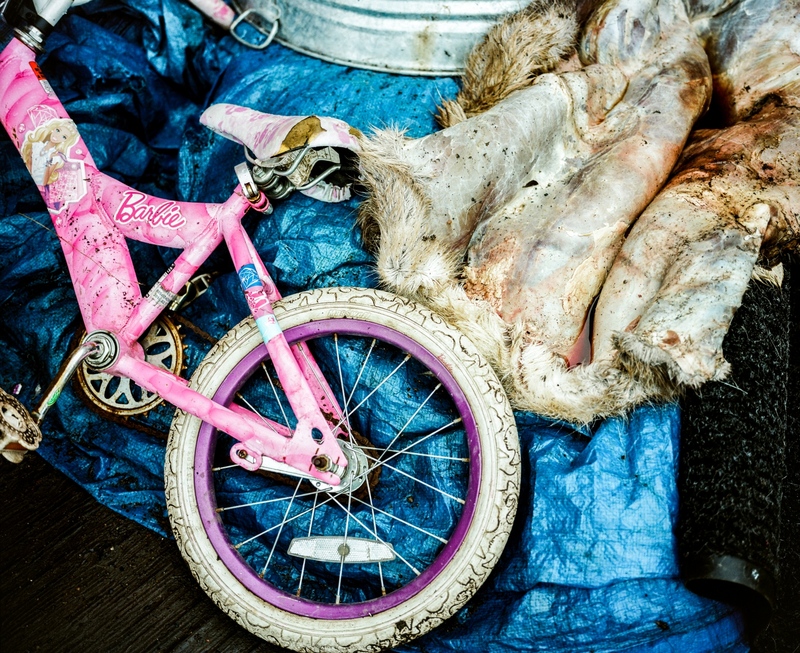 A bicycle and caribou hide in Kivalina, Alaska. 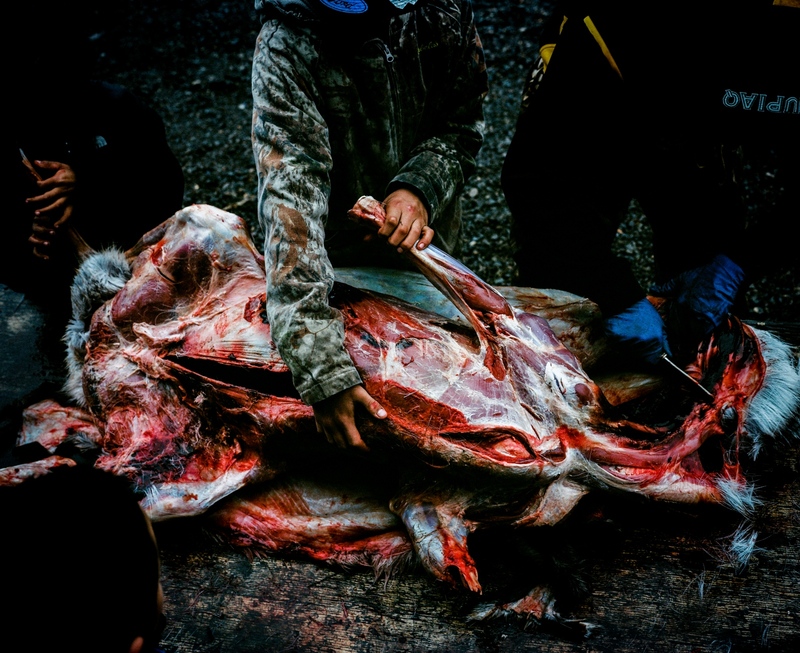 Jared Norton butchers a caribou with help from a few adolescents in Kivalina, Alaska. 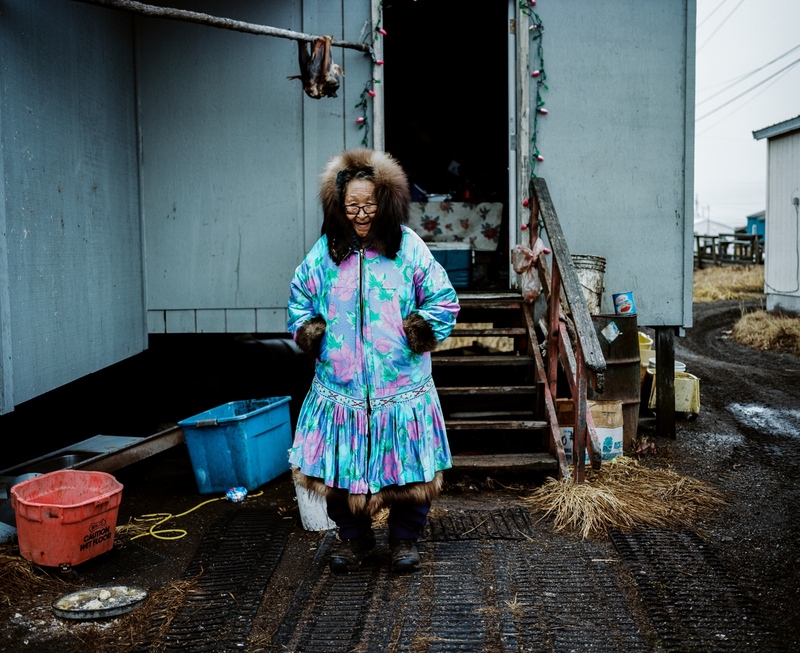 Caleb Wesley, the keeper of the Friends Church in Kivalina, Alaska. 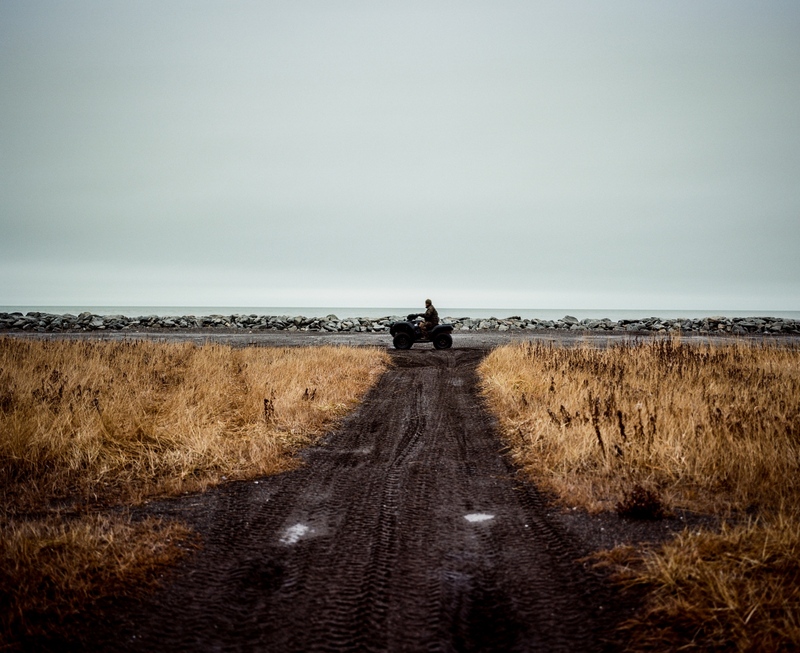 A four-wheeler drives along the sea wall in Kivalina. 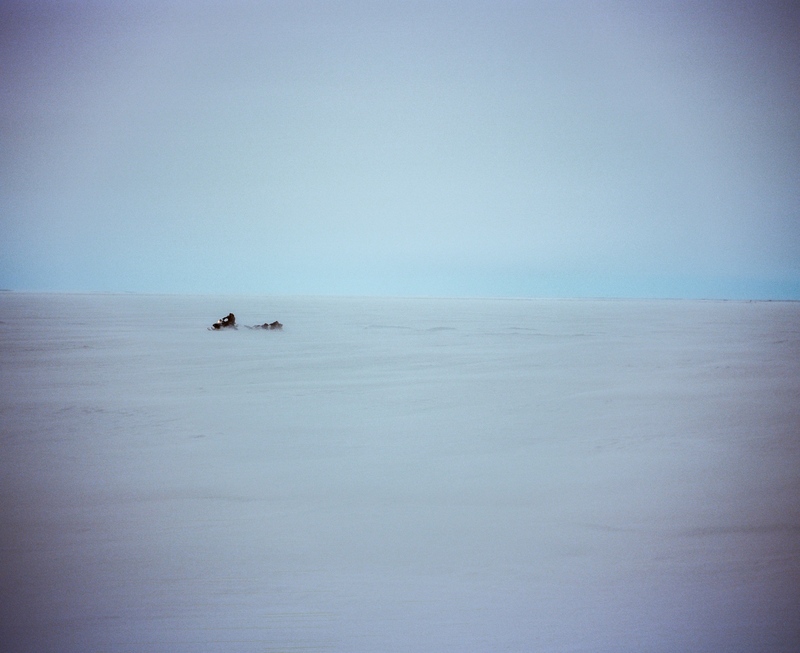 Because Kivalina is not accessible by road, the most common form of transportation in and around the village is on four wheelers and snow machines. 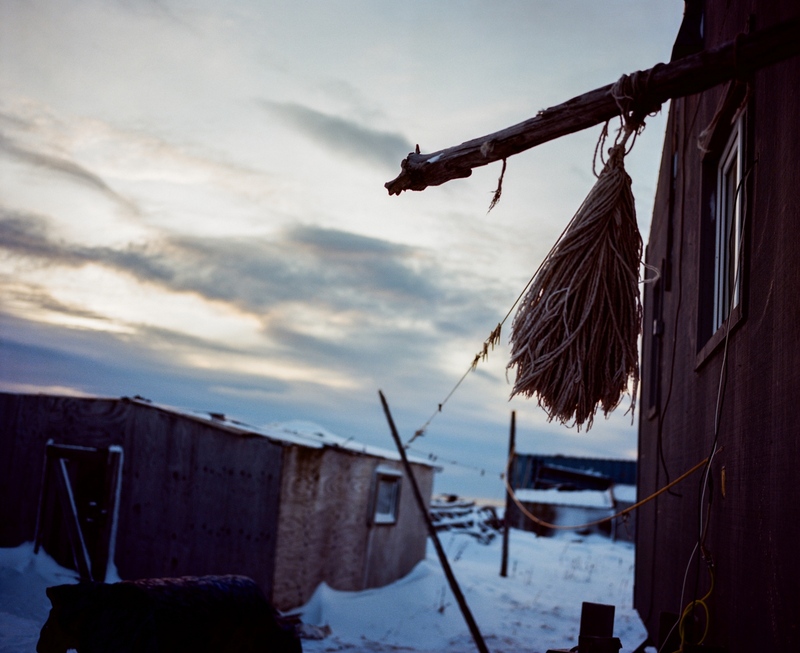 Clothesline outside of Lucy Adams' home in Kivalina, Alaska. 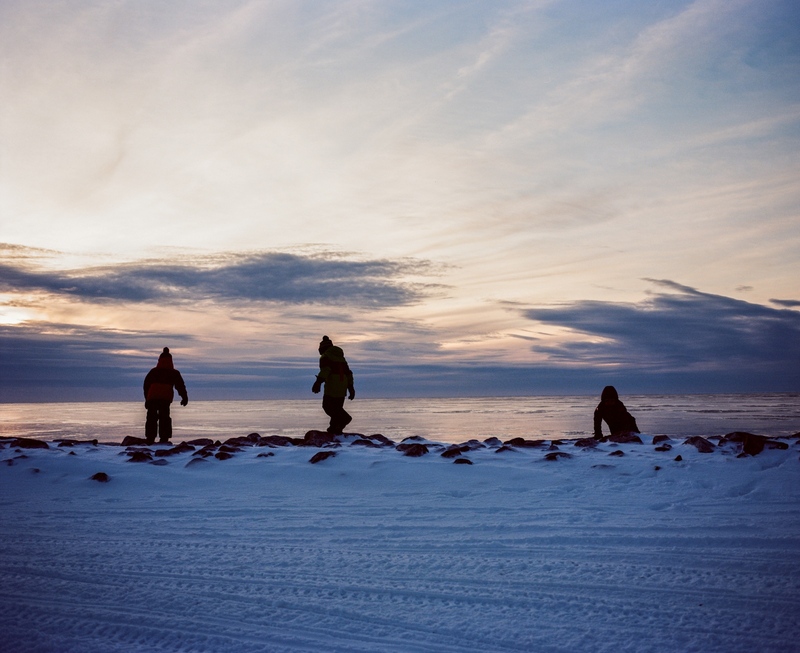 Children play on the Kivalina sea wall. 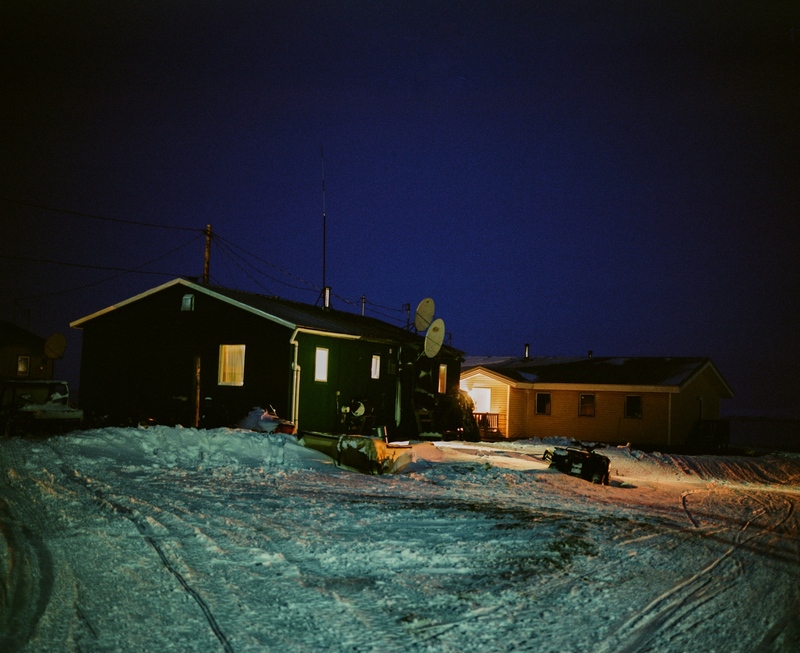 Homes in Kivalina, Alaska after dark. In the winter time, the village experiences only a few hours of light each day and less than and hour on its darkest days of the year. A snowmachine travels across the ice on the lagoon-side of Kivalina, Alaska.